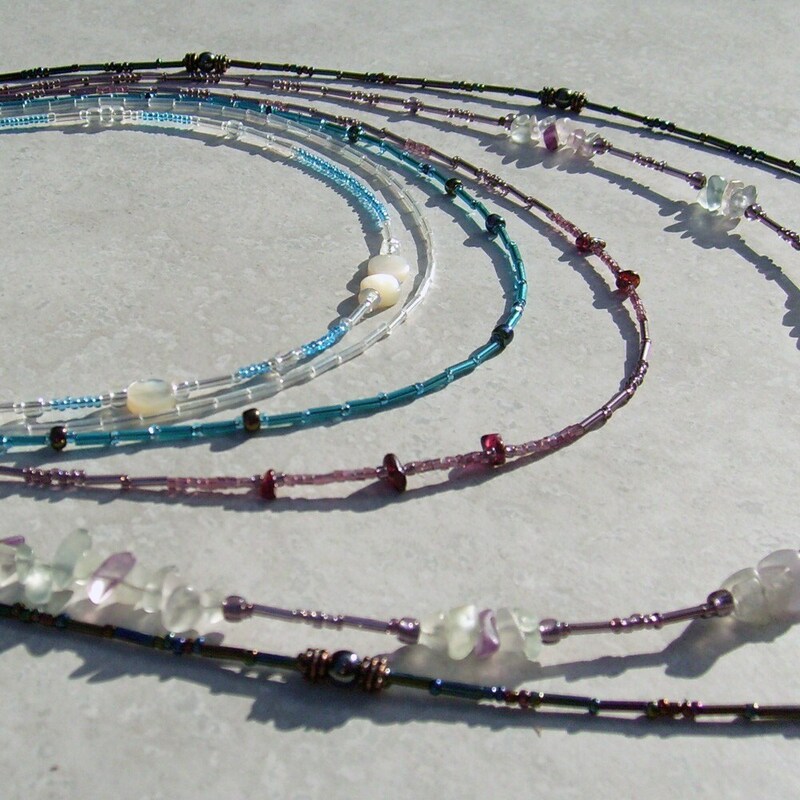 Six shimmering beaded strands demonstrate the Atmospheric Strata and various objects and phenomena from the Atmosphere. 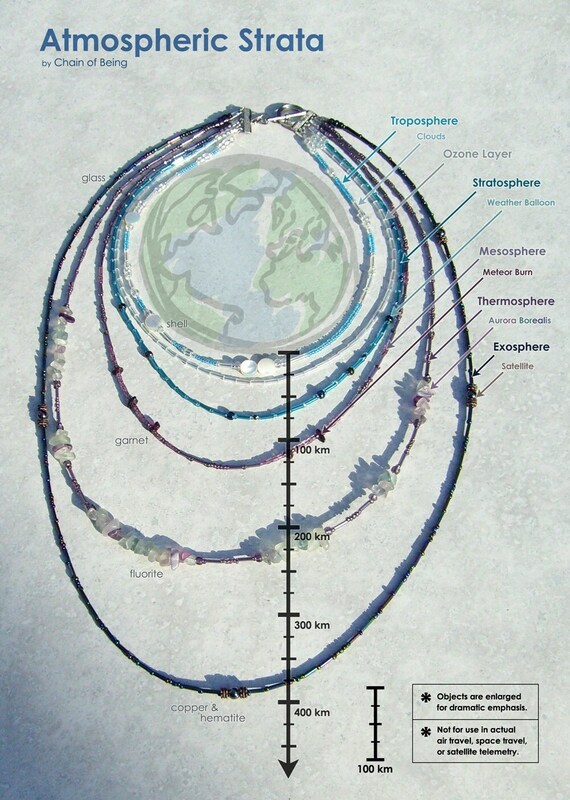 The strands of the necklace encircle the wearer in the same order that the Atmospheric Strata surround the Earth; from the center of the necklace, you are given the perspective of Earth, seeing the Atmospheric Strata radiate outward into Space. Objects are enlarged for dramatic emphasis*. 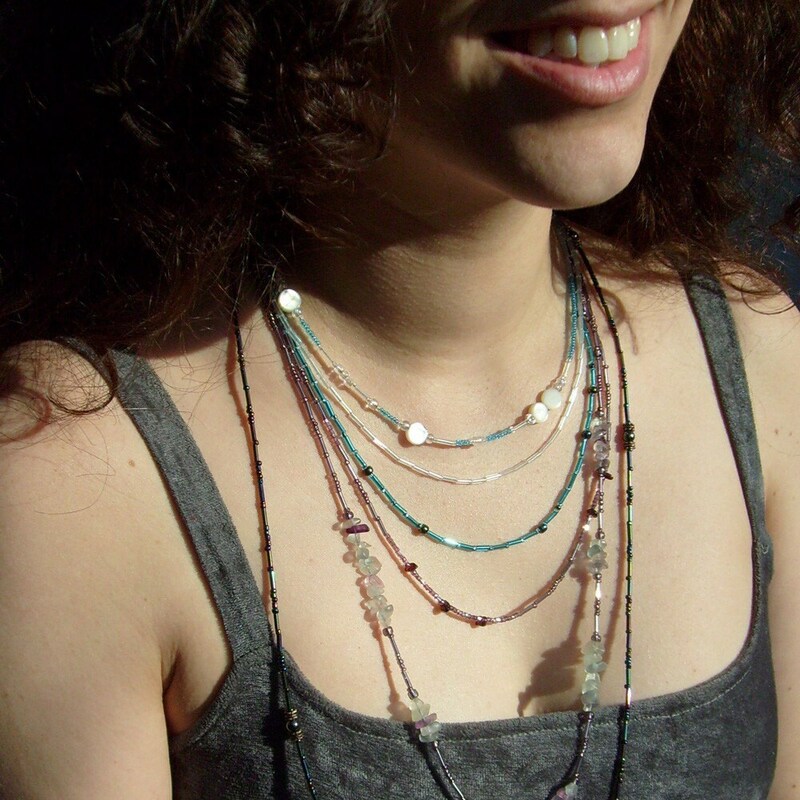 This infographic necklace is a decorative cosmogram, inspiring thoughts of the complex and delicate relationship between the Earth and Atmosphere. *Not for use in actual air travel, space travel, or satellite telemetry. **This necklace can be sized to order. 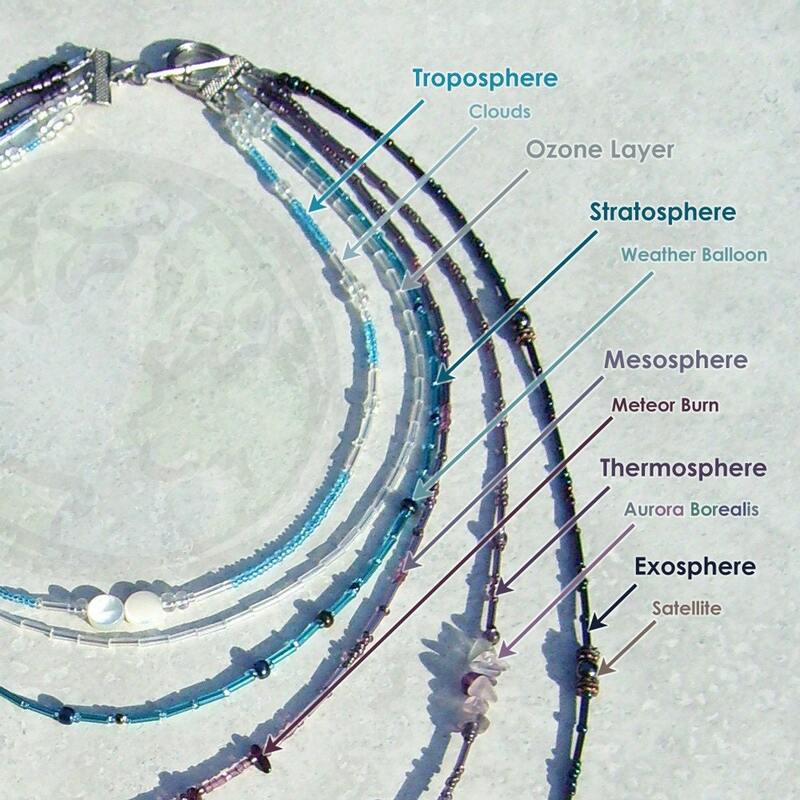 See more necklaces inspired by the sky in our Atmosphere and Astronomy categories! As always, very pretty and unique. Received it as a Christmas gift from my dude. This is just as gorgeous in real life, beautiful and inspiring work. Sent as a gift to my niece. She loves it.